Cavaliers who lost to Grenada in the 2018 finals of the Peter Haycraft Twenty 20 Tournament last summer, got their season going by overhauling Grenada in an even shorter version of the game on Sunday in Greenland, a match that was reduced from six to four overs because of darkness. There were eight teams participating in the one day over 40 competition. Gary Prince helped Grenada reach 60 for 2, with his knock of 30. In reply, Avishkar Sewkarran , who scored 123 runs from three matches, finished with 30 not out coupled with Mohammed Hassan’s 18, to reach 62 with two balls to spare, giving Cavaliers A the victory. 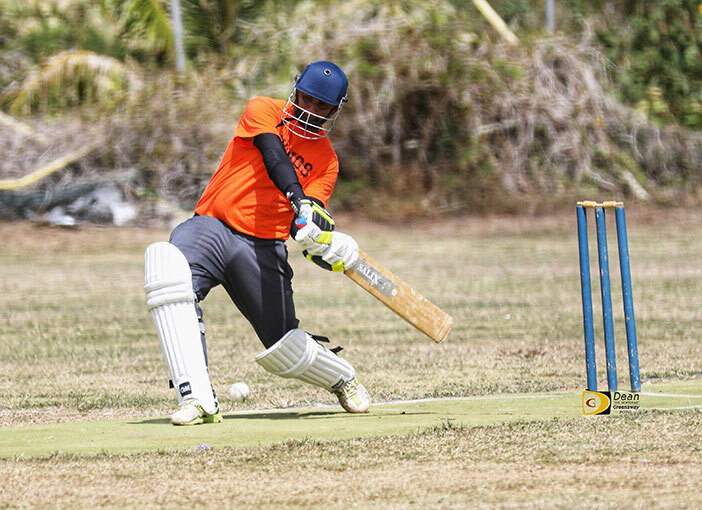 In the semifinals, Cavaliers put up 88 runs then held Royal Knights to 60, while Grenada rode Prince’s unbeaten 51 to reach 88 in their allotted overs, before limiting the Vikings to 67. Sewkarran had a tournament best 73 not out, in helping Cavaliers to 133 along with a supporting 52 from Hassan, then they restricted the Blazers to 61. Grenada had a one run, 73-72 thrilling victory over the Spartans 2. The Spartans I fell to the Vikings 63-61. Cavaliers B fell two runs short of overhauling Royal Knights, 98-100. Meanwhile, the BVI Cricket Association is working towards having their season opening Twenty 20 Tournament in March. Further details will be forthcoming.